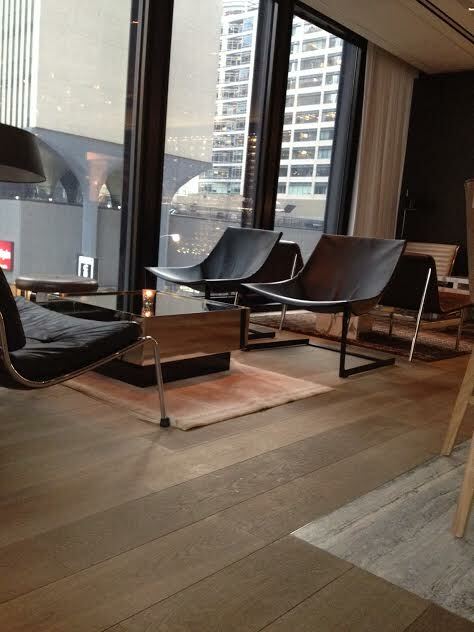 When visiting Chicago recently, I knew I really wanted to see Travelle, a restaurant and lounge at the Langham Hotel. 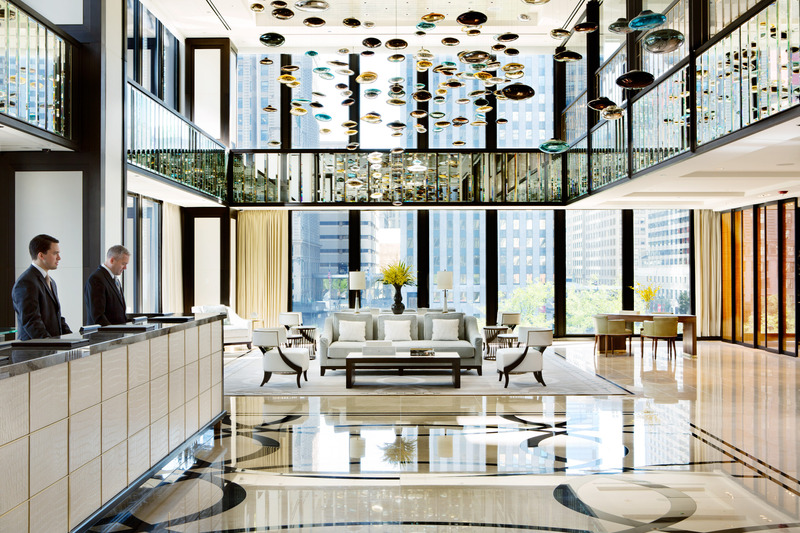 When visiting Chicago recently, I knew I really wanted to see Travelle, a restaurant and lounge at the Langham Hotel. 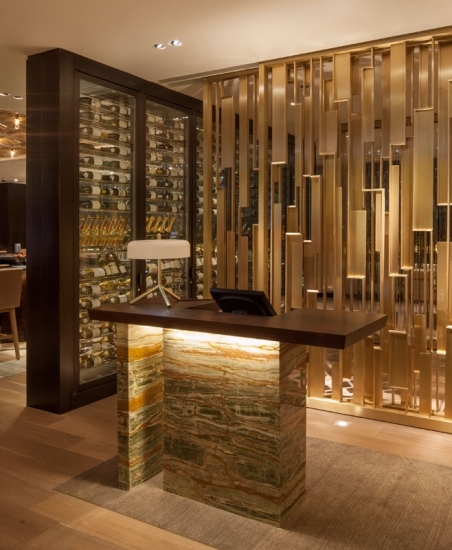 The hotel, which is located in a building designed by the iconic Ludgwig Mies van der Rohe, is situated in downtown Chicago with easy access to shopping and popular attractions. 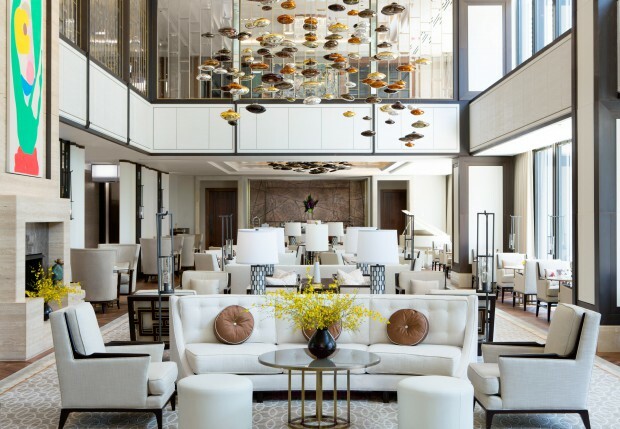 With private event space, a spa, pool, and ballroom, as well as several boardrooms, the Langham is a luxurious place to stay for pleasure or business. I made a fast dash to Travelle and sat in the lounge for drinks. 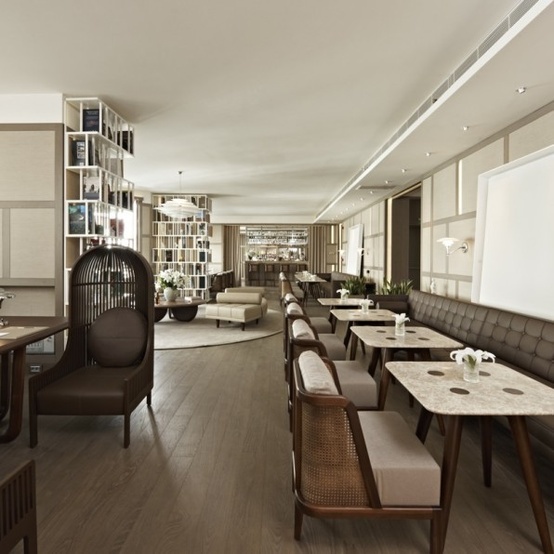 Its very cool, urban, monochromatic feel was designed by architect David Rockwell. 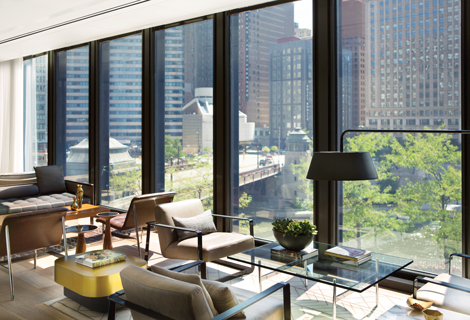 The floor to ceiling windows flood the lounge with light while giving guests a gorgeous view of the river and Chicago’s famous Loop. 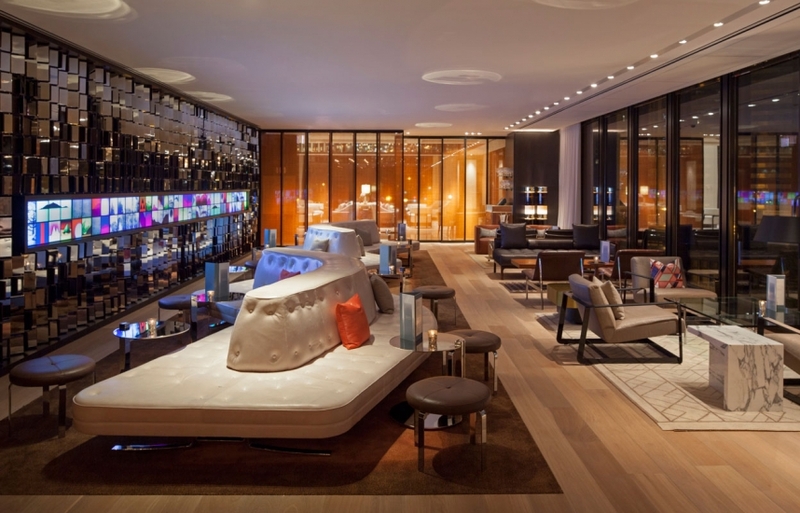 One striking feature was an interactive digital wall undulating amongst the lounge’s chic furniture. The space is full of lush elements and visual, techno details. As we enjoyed drinks and a woman playing rock songs on the violin, the digital wall of photos constantly changed and altered. Such a cool atmosphere! The lobby of the Langham is another stunning space. I thought it looked really magical, with all these gorgeous clusters near the center of the ceiling. 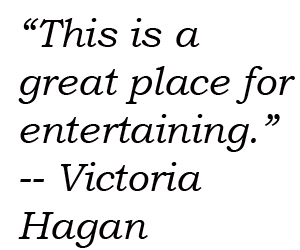 It has a special, totally different vibe, more elegant and formal. So beautiful! Unfortunately, we couldn’t stay at the fully-booked Langham, but I did enjoy my brief time there. If you’re ever in Chicago, I highly recommend a visit to the Langham, and Travelle in particular! 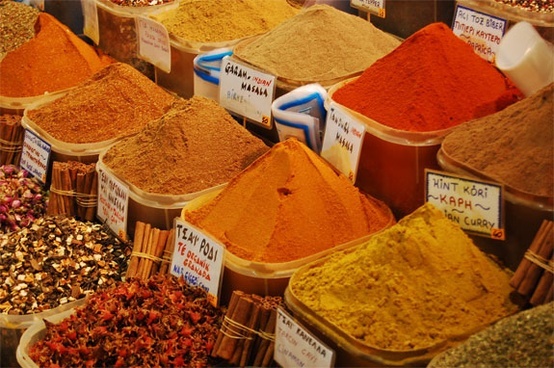 When I think of India, I think of vibrant colors, saturation, and stunning details. 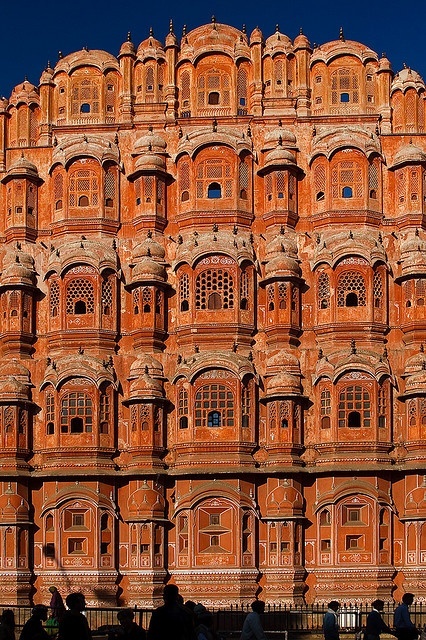 When I think of India, I think of vibrant colors, saturation, and stunning details. Indian architecture typically includes many elements that can easily be transposed to interior design. 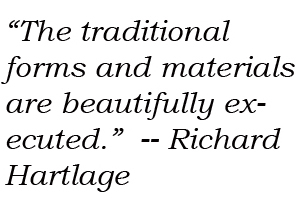 Patterns and shapes can be incorporated into borders, fabrics, paneling, or any number of other accents. 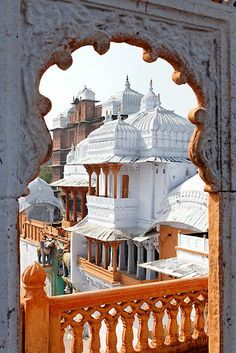 When you look at Indian palaces and temples, the lavish, extraordinary details jump out at you. Taking one small aspect of these details and using them in your own interior brings a touch of India’s beauty to your home. 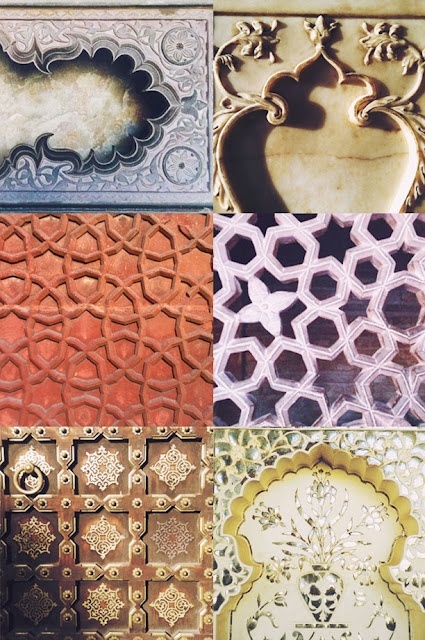 Patterns of India. Image via Wanderlust Drifted. Palace of Winds. Photo by Phil Marion. Beautifully carved columns in India. I love the shape of the window and details in the railing. Image via Redbubble. 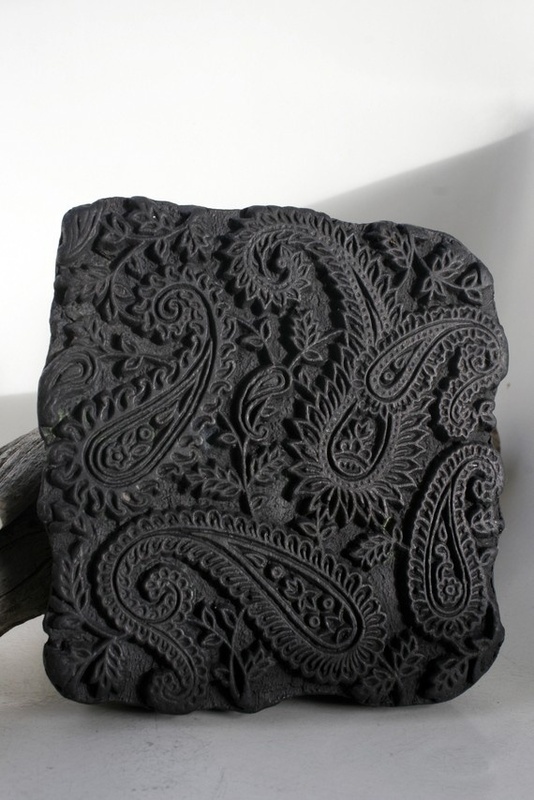 Hand carved antique Indian wood block stamp. 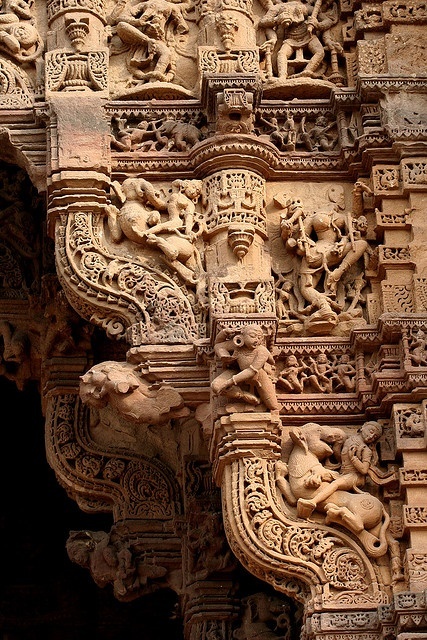 Stone carvings of one of the four gates of Dabhoi (Gujarat), India. 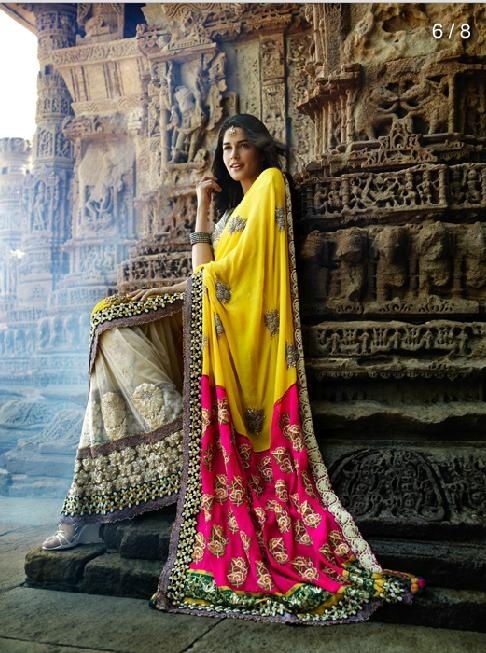 Another aspect of Indian culture I love is the vibrancy of the colors in traditional clothing. I see so much life in the bright colors and extravagant details of, for example, a sumptuously dyed and patterned sari or an intricate henna design on a lovely hand or foot. Add in gold accents and you have so much inspiration to work with. 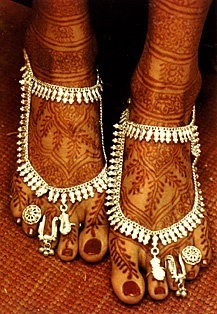 The intricacy of henna is just incredible. Design by Preeti Chandra at India Fashion Week in 2012. Which Indian details would you add to your interior? 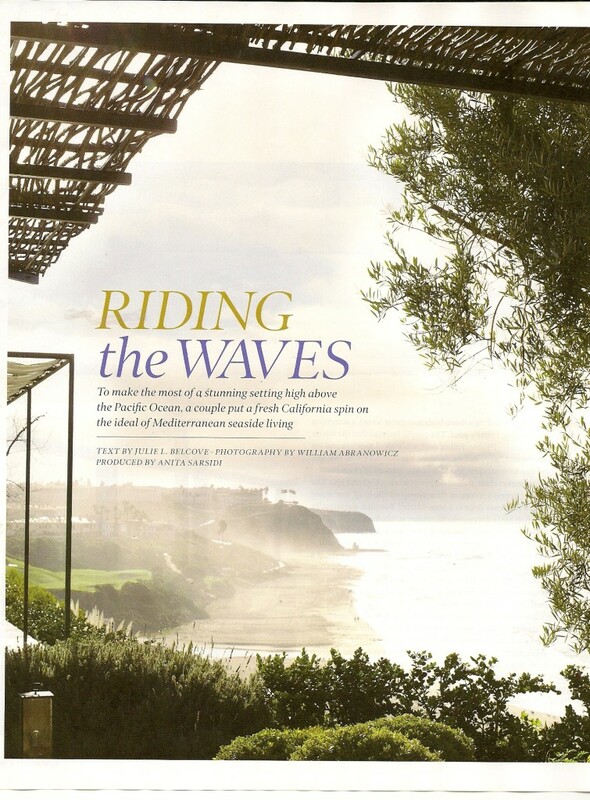 The July/August issue of Elle Decor includes a feature of a stunning home in California. 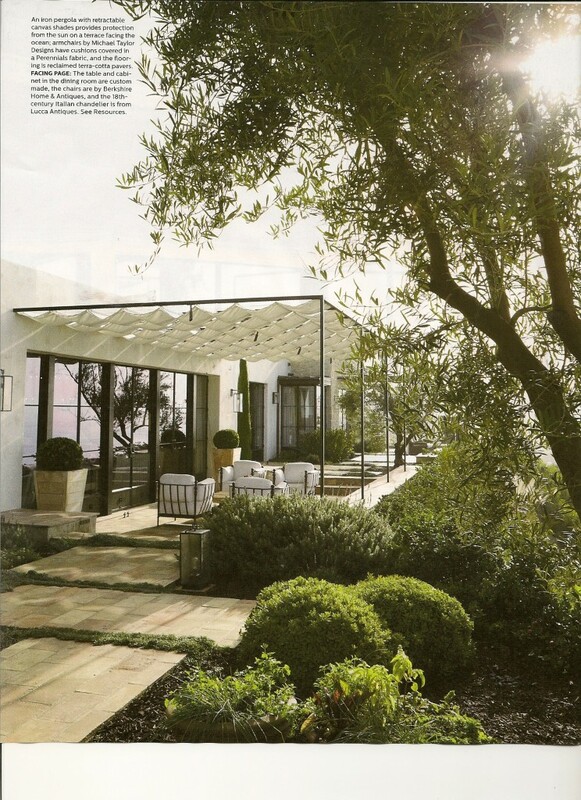 The July/August issue of Elle Decor includes a feature of a stunning home in California. 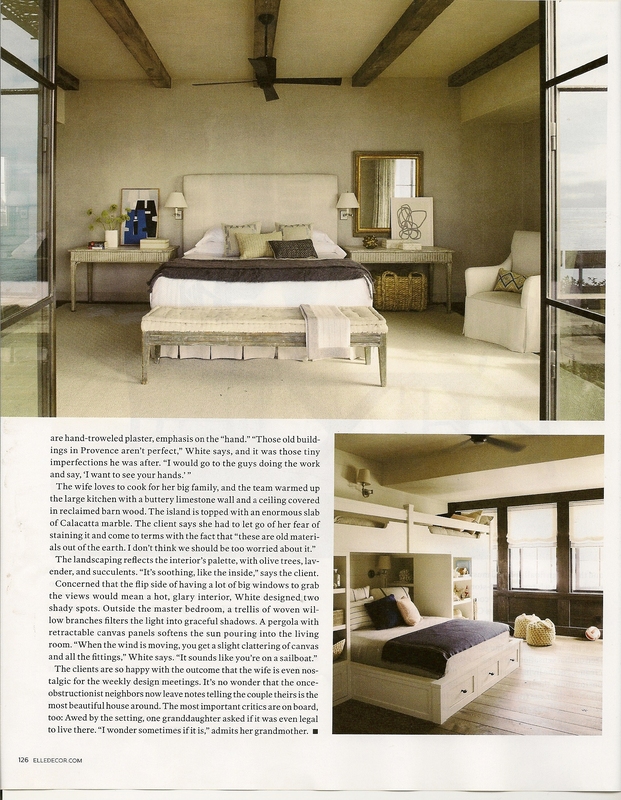 The owners worked with architect Bob White of ForestStudio and mother-daugther design team Mary Lynn Turner and Marie Turner Carson of M. Elle Design to create a beautiful home that reflects the gorgeous cliff-side location of the property. The home, and it’s overall design, is a place where I can imagine myself living. 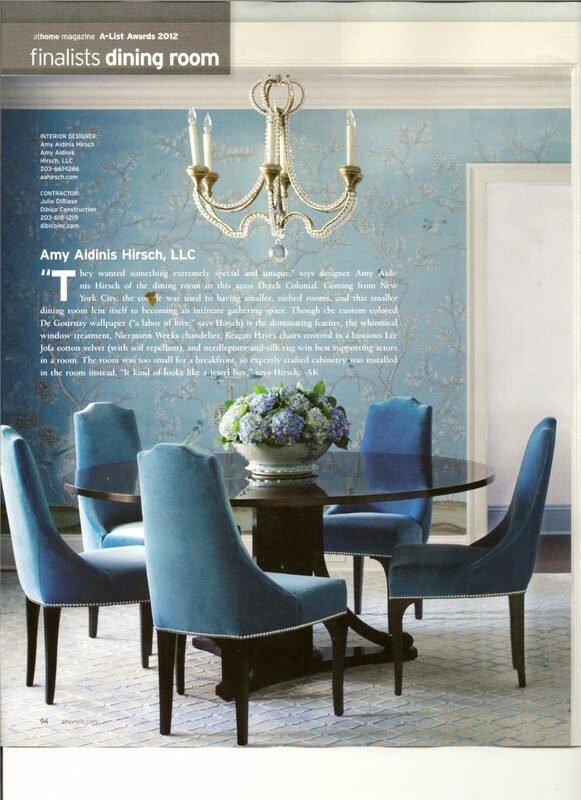 I absolutely loved the article and the photos that showcase this incredible house. The one-storey home doesn’t compete with the outstanding view of Salt Creek Beach, but successfully combines a calming, elegant atmosphere with old-world charm. 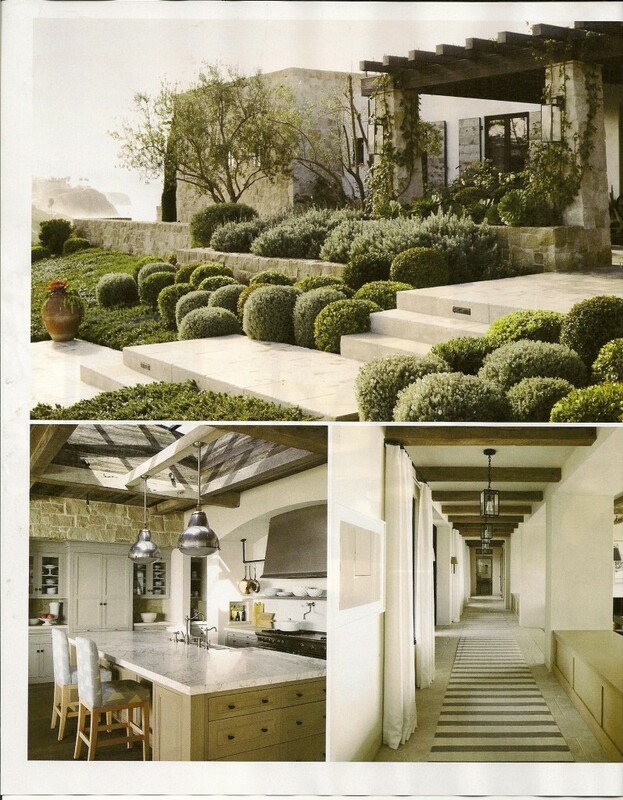 In addition, the landscaping seems mindful of the interior, making this a lovely home, inside and out. Text by Julie L Belcove with photography by William Abranowicz. Produced by Anita Sarsidi. 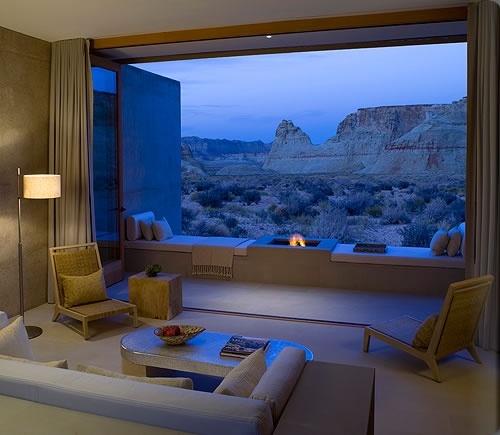 While doing some architectural research for a client recently, I stumbled across the website for Amangiri Resort in southern Utah. 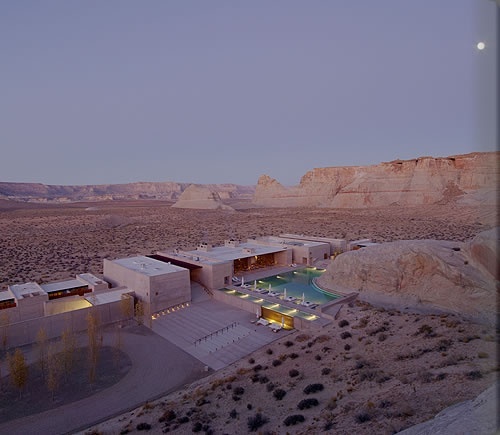 While doing some architectural research for a client recently, I stumbled across the website for Amangiri Resort in southern Utah. Covering 600 acres in Canyon Point, near the Arizona border, the resort sits nestled in a valley with incredible views of the Grand Staircase – Escalante National Monument. Ariel view of Amangiri Resort. I love how the architecture here works, with clean, modern lines set in this powerfully dramatic landscape. The architect’s thought process was clearly to preserve the beauty of the land and act as a counterbalance to the sweeping scenery. I immediately wanted to get on a plane and head to Utah! Utah’s canyon country, accessible through plane tours. Nearby Lake Powell can be explored by boat. At Amangiri, the pool alone is amazing enough to tempt me to Utah. It is so serene and allows the soaring plateaus to be the star of the scenery. The idea of going to rest in a place like this, miles from civilization, is so appealing to me. 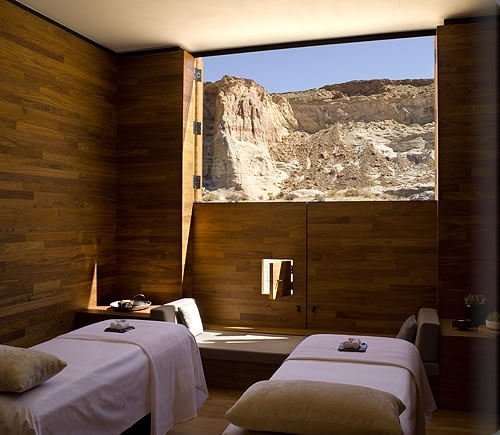 Amangiri Resort is uncluttered, natural, and simple, while still being posh enough for guests to feel luxurious. 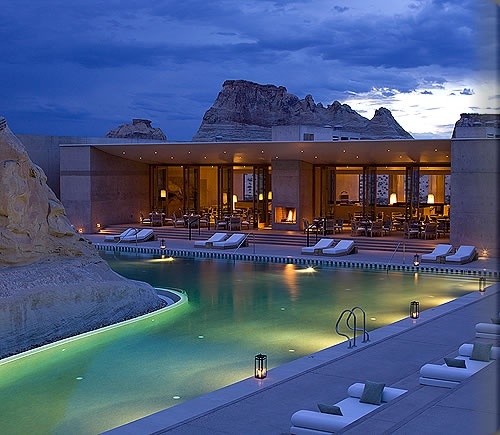 I love unexpectedly coming across something beautiful like the Amangiri Resort. Have you discovered anything new lately? Ken Tate’s work draws upon a wide range of influences, from ancient to modern, and high style to vernacular. 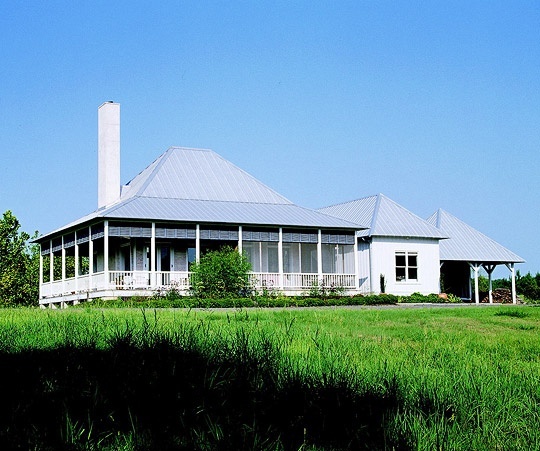 Architect Ken Tate established his firm in Mississippi in 1984 after gaining experience with architectural visionaries Bruce Goff (Texas), Richard Davis (also in Texas), and Sam Mockbee (Mississippi). He attended Auburn University and is the recipient of the Institute of Classical Architecture’s 2008 Shutze Award as well as three-time winner of Southern Progress Corporation’s Southern Home Award. Ken Tate’s work draws upon a wide range of influences, from ancient to modern, and high style to vernacular. I really like the touch of Southern charm you see in Ken Tate’s work. His homes look a little stately, but the thoughtful, intimate details impart a subtle European flair. 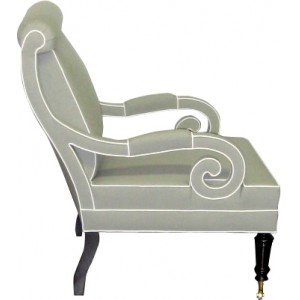 The overall impression is one of clean lines and beautiful proportions. 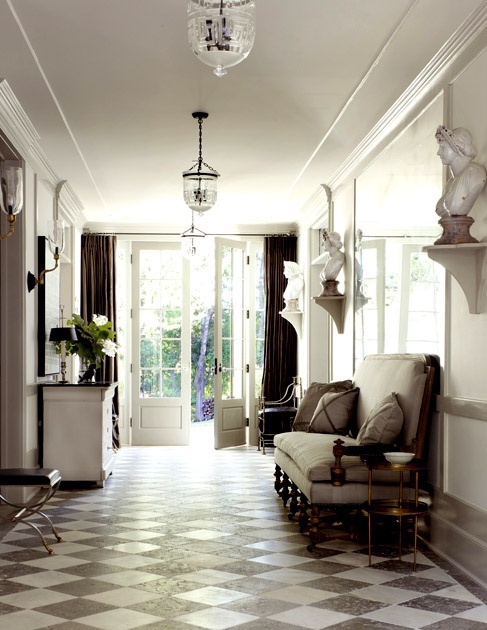 New Orleans residence inspired by French Indies Creole plantation. Columbis, Mississippi residence with a French provincial style exterior. Ken Tate’s use of historical details with his own subtle twist gives his work an added unique element. These are the kinds of details I just love! They give each residence a finished, layered feel. Interiors also show careful attention to detail. To see more of Ken Tate’s projects, visit his website or pick up a copy of A Classical Journey: The Houses of Ken Tate or New Classicists. 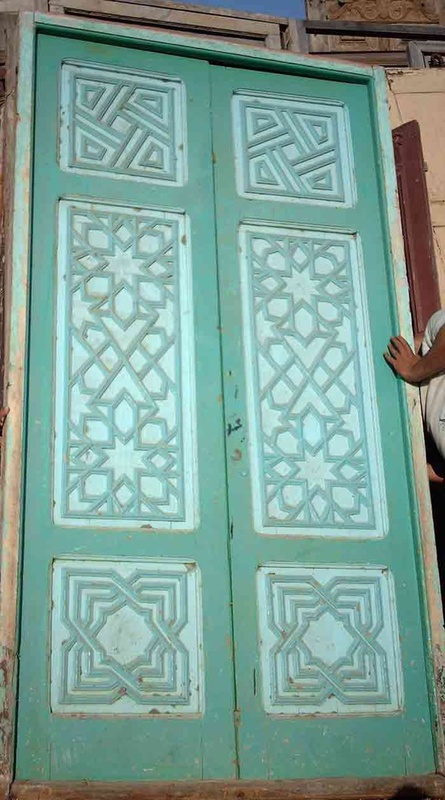 Your front door is not only the opening to your home. It’s also the first thing to greet guests when they arrive at your house. 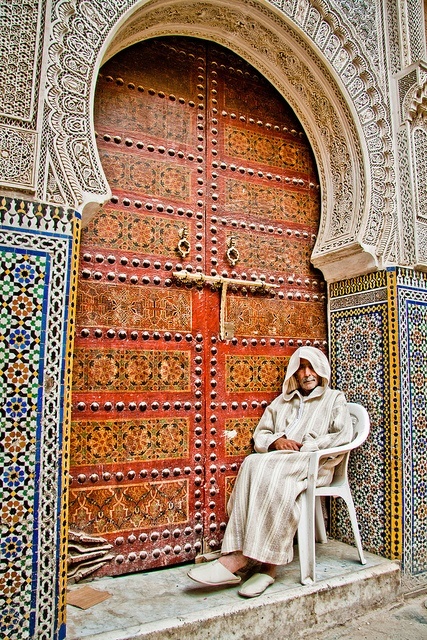 Your front door is not only the opening to your home. It’s also the first thing to greet guests when they arrive at your house. 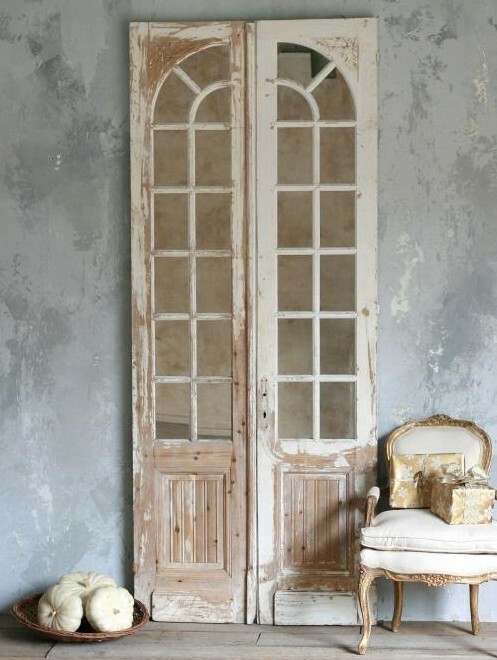 The door can make a big statement or have a quieter impact. 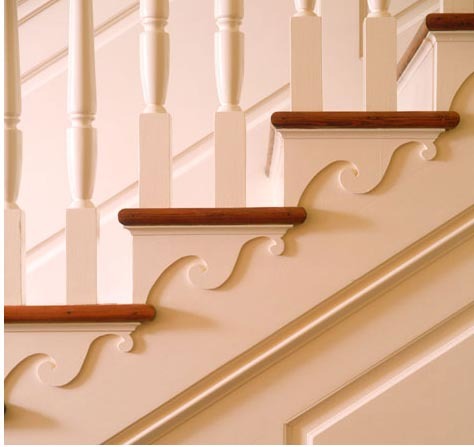 Details such as carvings and nail heads form intricacies that tell a story and hint at the personality and style of your home’s interior. 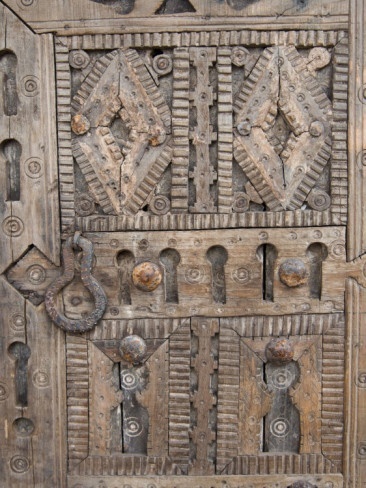 I love the idea of using a unique door, maybe something reclaimed or salvaged, for the front door, a wine room, or a butler’s pantry. 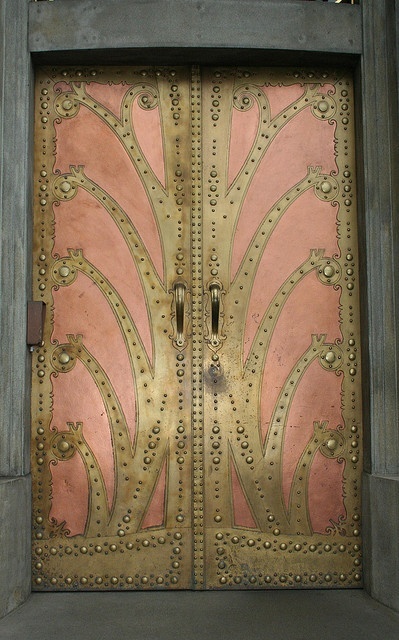 I once worked with a contractor who had a collection of such doors. They were all amazing, which made it so hard to choose! 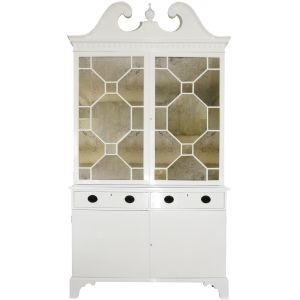 You can modernize a reclaimed door or dress it up with stained glass or antique mirrors. 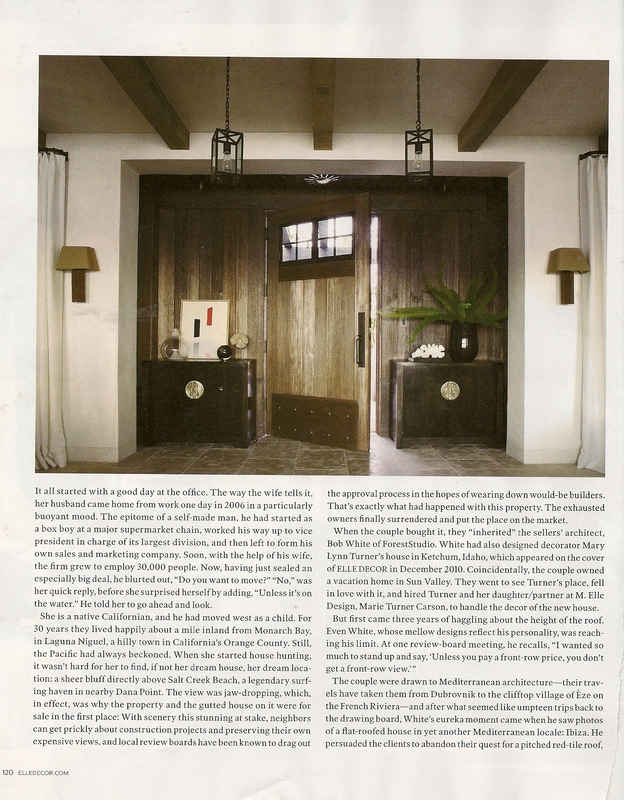 Turning the door into a work of art is a fun way to make something special out of a prominent feature of your home. 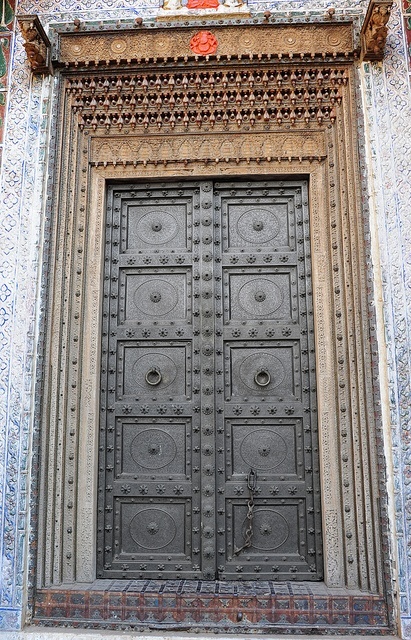 If you need further inspiration, try looking at elaborate doors from around the world! 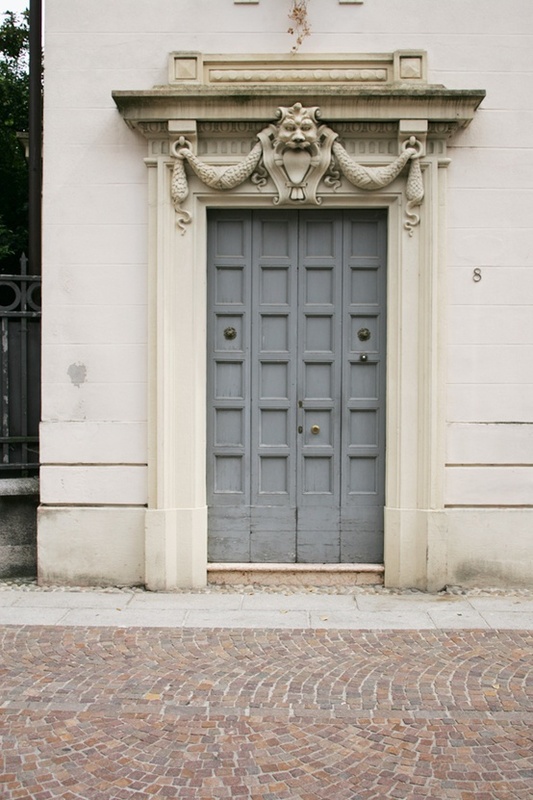 What kind of statement does your front door make? 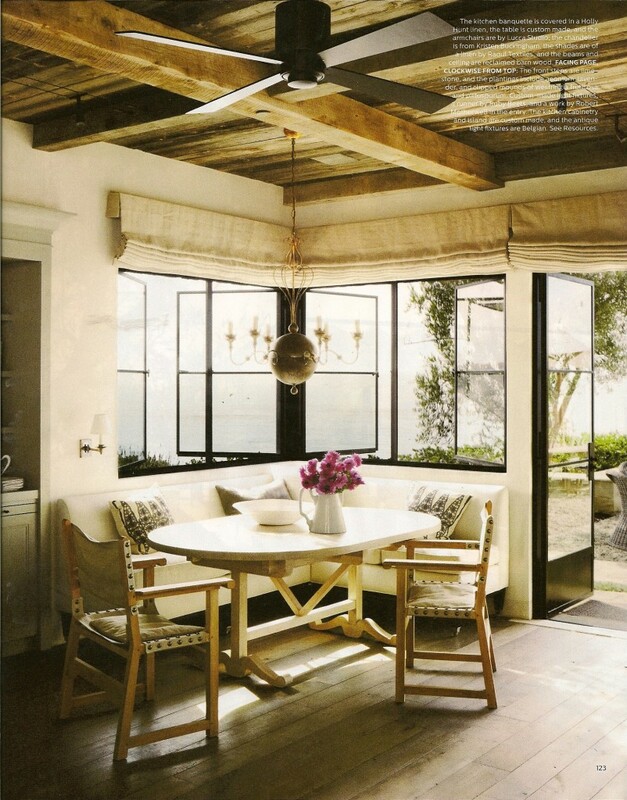 I adore Windsor Smith’s designs, from her interiors to her own home line. 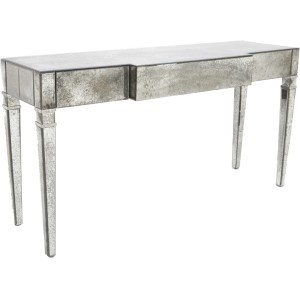 I adore Windsor Smith’s designs, from her interiors to her own home line. 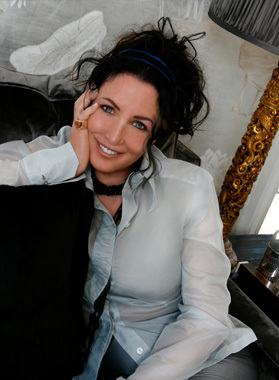 She’s an amazing designer and very clever about choices, making the success of her many ventures no surprise. One of my favorite projects involving Windsor Smith was her collaboration with Veranda magazine on the House of Windsor. 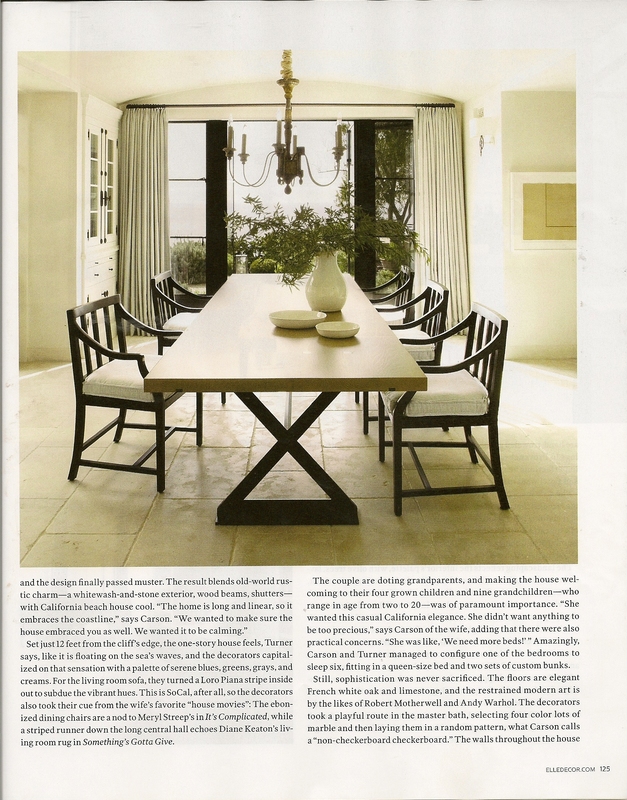 This first ever Veranda concept house, located in Los Angeles, California, featured Windsor Smith’s architectural design as well as the skills of several other notable designers such as Martyn Lawrence Bullard, Kathryn M. Ireland, Richard Hallburg, and others. The creation of this dream house was a very cool concept. Proceeds from the open house ticket sales and VIP events benefited two charities for children, the Children’s Action Network and P.S. Arts. Veranda’s website about the House of Windsor is really interesting. 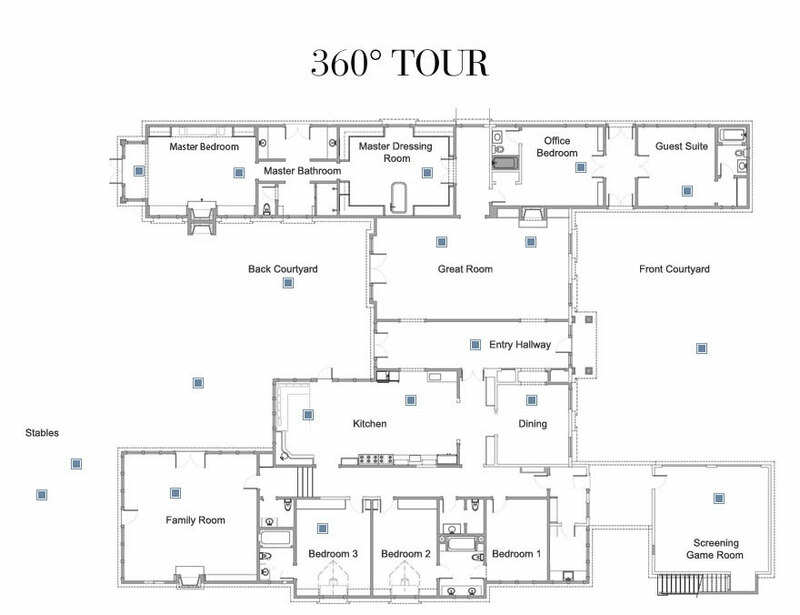 It shows the floor plan of the concept house as well as 360 degree tours of each room in the home, including exterior areas like the courtyards and stables. You can even browse specific designers involved with this project and watch videos featuring each designer’s thoughts and experiences. The House of Winsdor was a huge undertaking based on a truly grand vision. Veranda’s unveiling of the home showed it to be very well executed. House of Windsor floor plan. 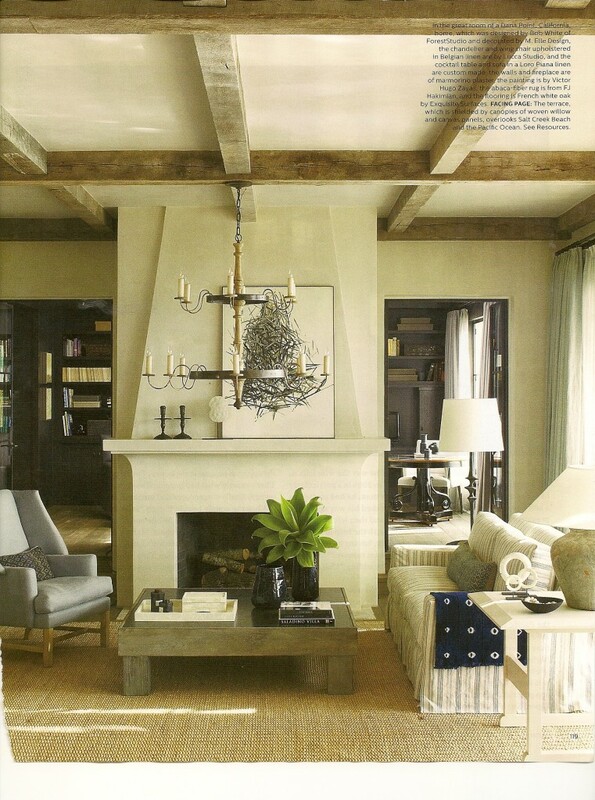 Entry hall, designed by Windsor Smith, is wide enough to serve as a dining room for entertaining on a grand scale. A graceful room with back to back sofas for increased seating and entertaining. Geometric pattern on the carpet offsets the chinioserie on the walls. 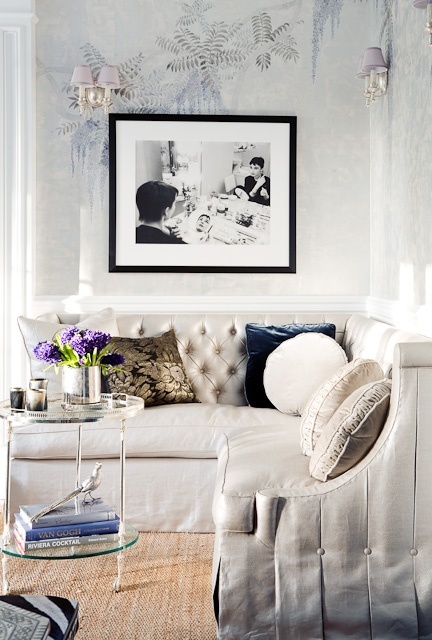 The use of a corner sofa is very smart, and the wallpaper is beautiful! 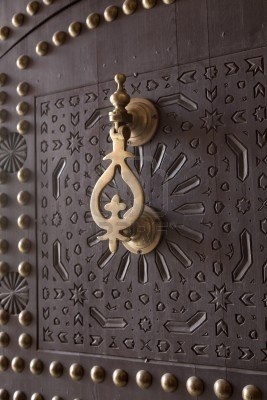 Windsor Smith uses beautiful products in her designs. I love the way her rooms are layered and how everything looks perfectly collected. She can be bold, but her interiors never look too decorated. They seem effortless and timeless. 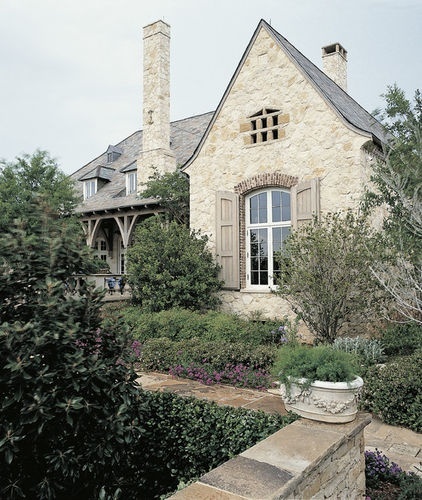 Windsor Smith’s own collection reflects her design style, featuring furnishings that are as well thought out and executed as all of her other projects. 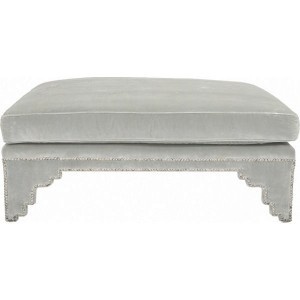 Moroccan ottoman: Great style and size. 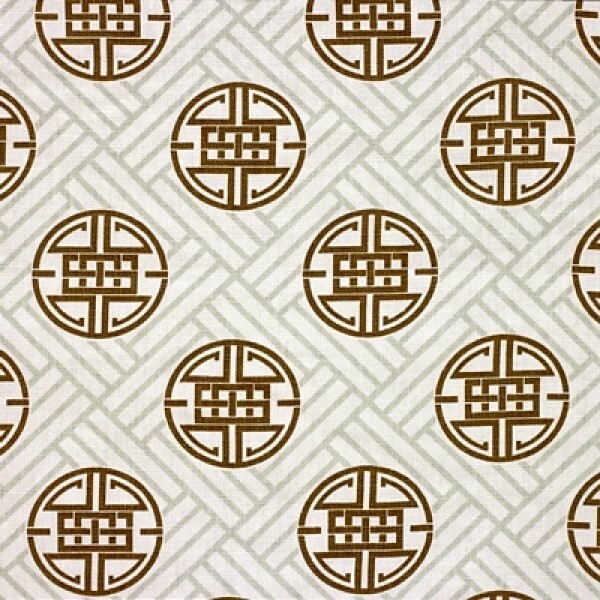 Insignia printed pattern: Great for window treatments. Check out all of the color ways. 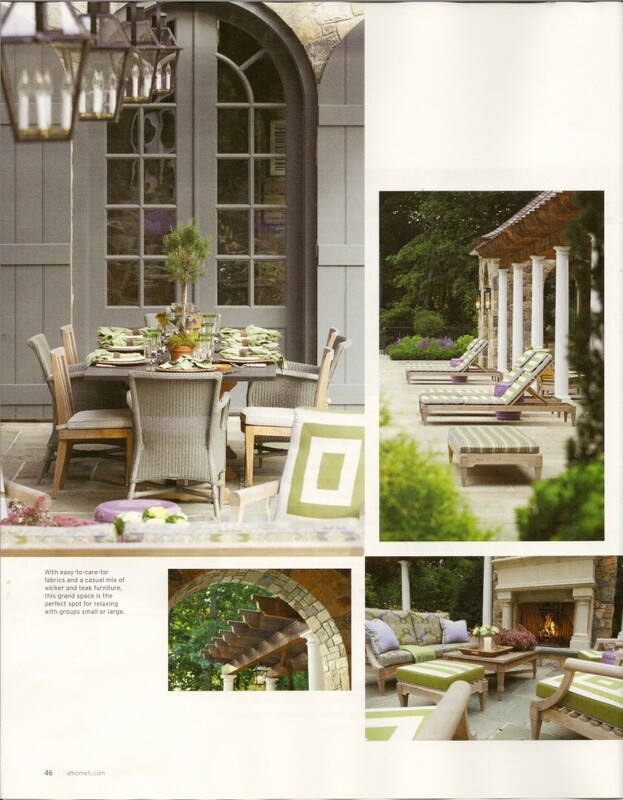 To see more of Windsor Smith’s designs, visit her website. You can also see her Collection, find her on Facebook, and follow her on Pinterest. 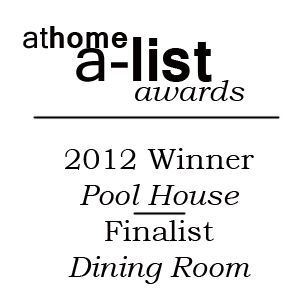 I am so happy to be included in this talented group of renowned designers as an A-List Winner for my pool house design and a finalist for my dining room design. 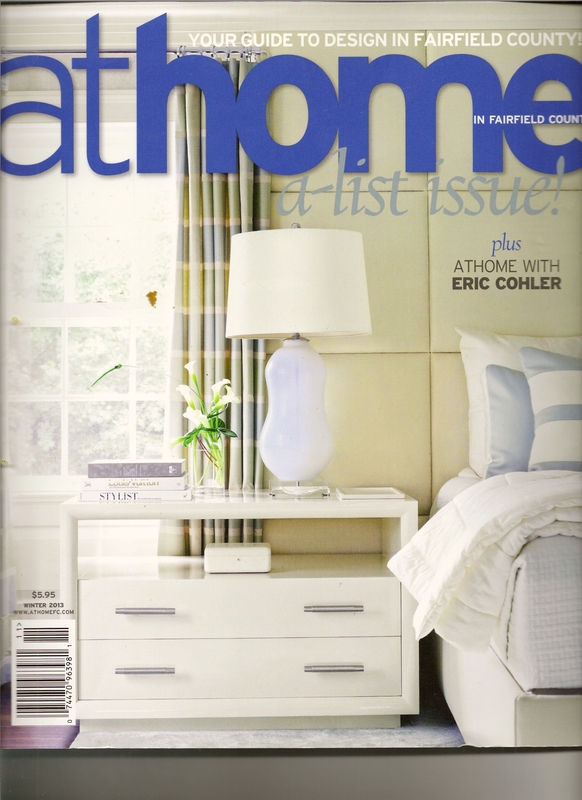 The Winter 2013 issue of At Home Magazine, which also happens to be the A-List issue, is now available! As always, the magazine looks beautiful and is full, cover to cover, with incredible design by this year’s A-List Winners. 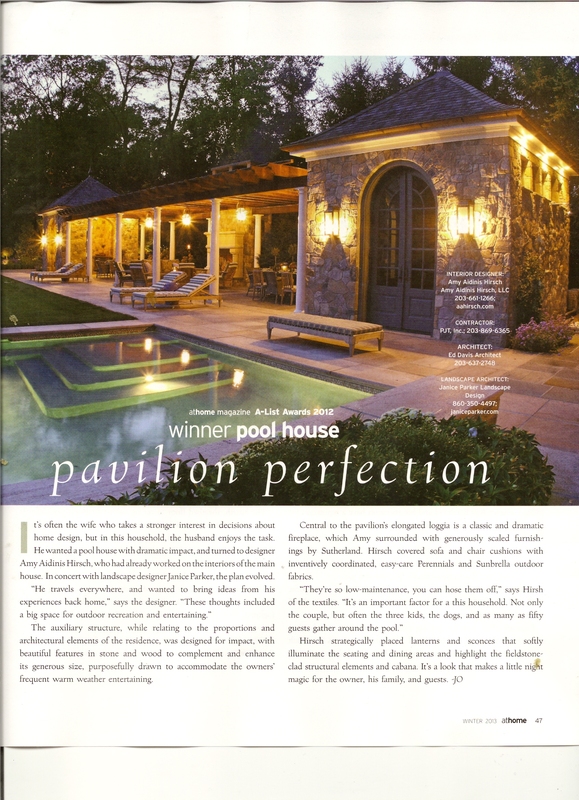 I am so happy to be included in this talented group of renowned designers as a winner for my pool house design and a finalist for my dining room design. The A-List Award Winners this year comprised a competitive group of people I truly admire. I felt so sad to miss the award ceremony in person. So many special designers that inspire and pave the way for others were there, and I really missed being a part of that event. I know Moffly Media threw a fantastic shindig! It really feels so great to receive this kind of recognition from designers who are a driving force in the design world. Like other places I feel drawn to, Greece features an incredible environment surrounded by water. 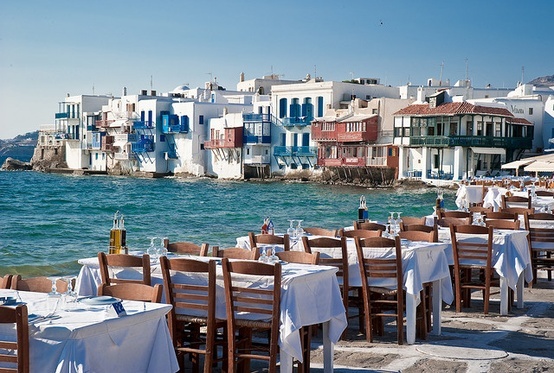 Like other places I feel drawn to, Greece features an incredible environment surrounded by water. 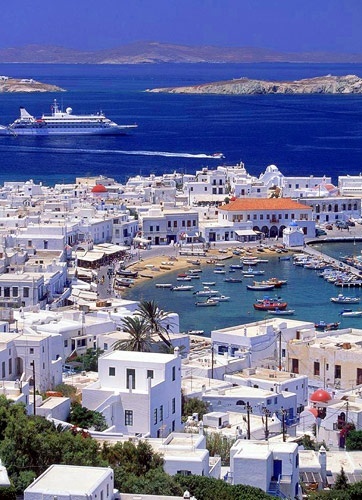 The contrast of those white buildings with the blue Mediterranean Sea is just very appealing. 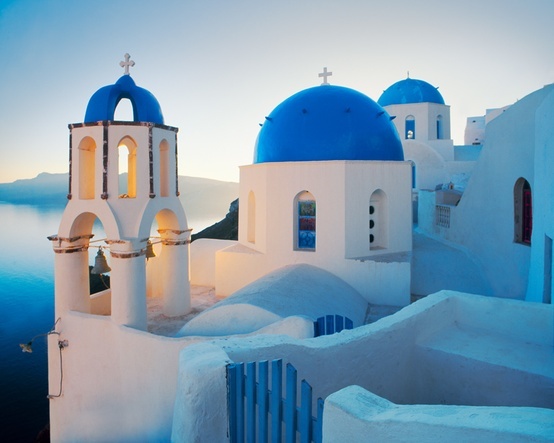 Combined with the fact that my father’s family is from Greece, it’s easy to see why I’d love to visit this amazing country. 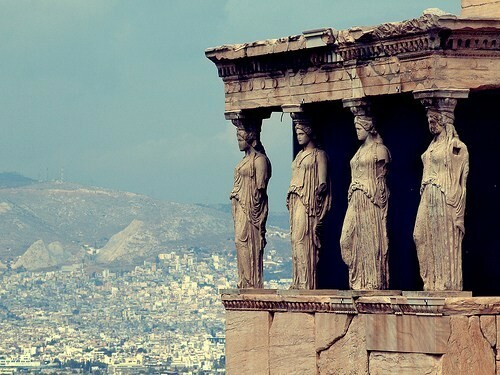 Scenery and family history aside, some of the most appealing aspects of Grecian beauty lie in its vast history, represented by mythology, carvings, relics, and architecture. 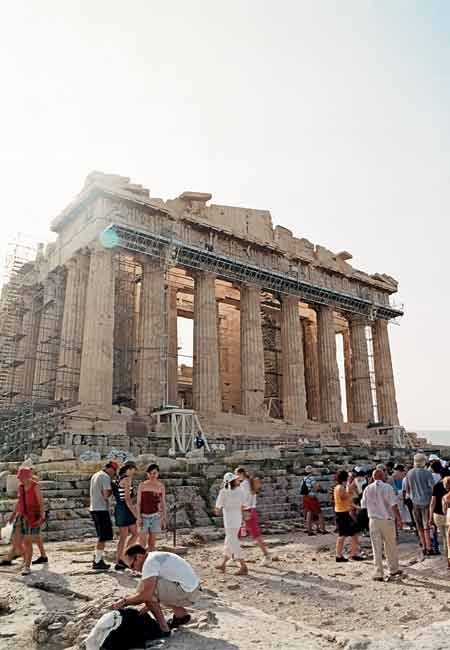 Looking at the Acropolis and Parthenon, you can’t help but wonder how such incredible achievements were possible without modern tools and technology. In fact, the influence of Greece’s classical, ionic architecture has endured across centuries and can be seen all over the world. 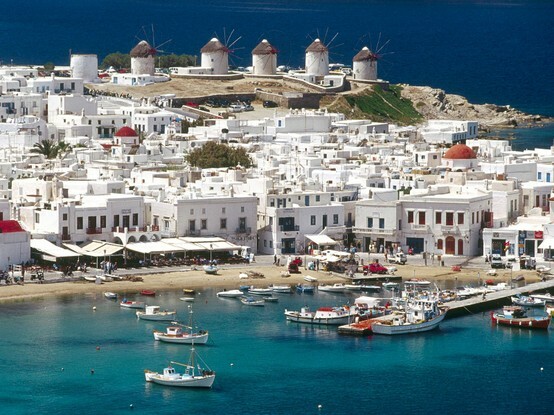 When I do make it to Greece, you’ll find me in Santorini or Mykonos, enjoying the white sand beaches, the calming backdrop of beautiful women in linen, and the fantastic, rich texture of Greek history and scenery. 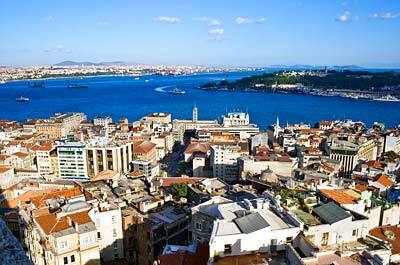 Turkey, and Istanbul in particular, is definitely on my travel wish-list! 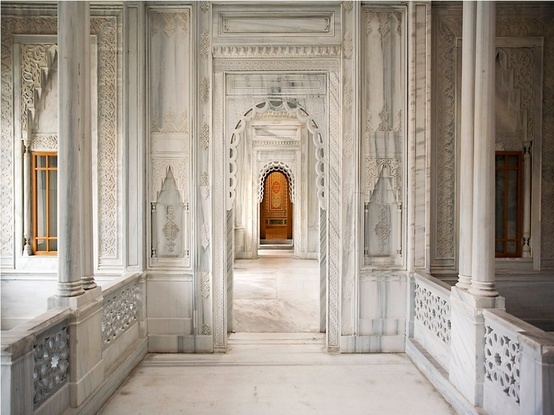 Turkey, and Istanbul in particular, is definitely on my travel wish-list. I think it’s such an inspiring place, with its incredible architecture. Of course, anything near water resonates with me, and combined with that aged atmosphere, Turkey has everything I’m drawn to. I’d love to spend time there, taking in the context of a different environment. 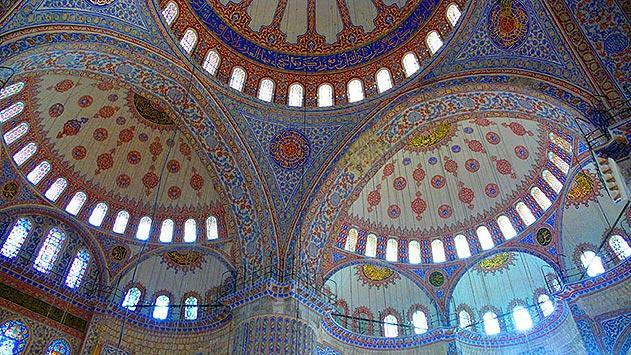 Istanbul’s long history and prominence on the Silk Road have led to a multitude of influences on the city, from Roman, Byzantine, and Ottoman to Baroque and Renaissance Revival architectural styles. I love the culturally specific aspects of Istanbul. How people dress, the richness and color of the building, the vibrant markets, all contribute to inspiration. 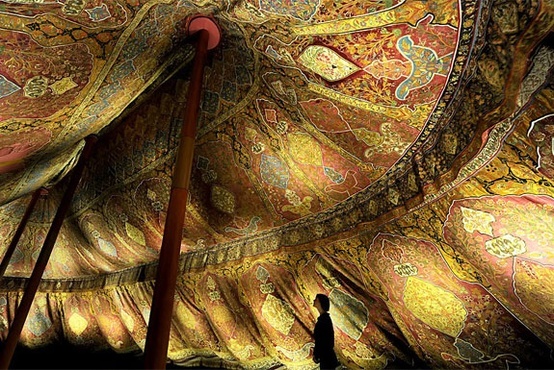 Imagine borrowing details from an intricate ceiling, using bits of pieces of the pattern, or developing a palette based on the area’s spice markets. True inspiration for a color palette. Alongside these historical and beautiful places are more modern examples of fine architecture and design. 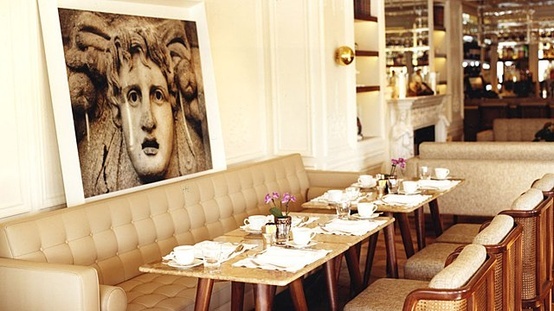 The House Hotel has such a calming, modern vibe. I love the juxtaposition of this against the more ancient aspects of Istanbul.